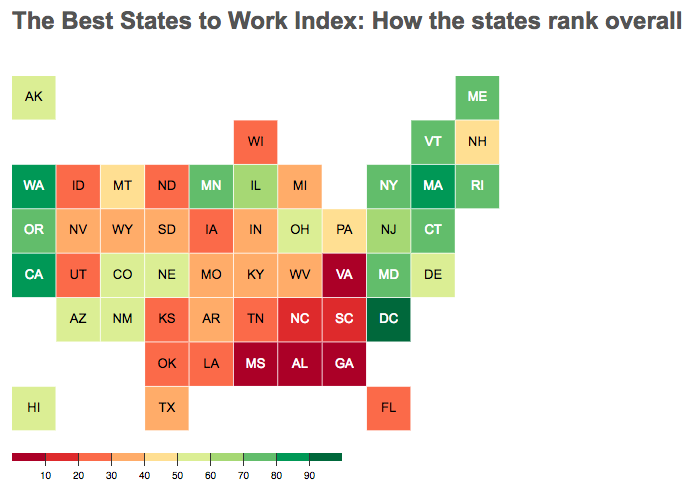 According to a new report released by Oxfam America, Washington is the best state for workers in the country. Idaho, not so much. The Evergreen State is at the top of the charts when it comes to being best for workers, according to a new report by Oxfam, a global organization combatting poverty. 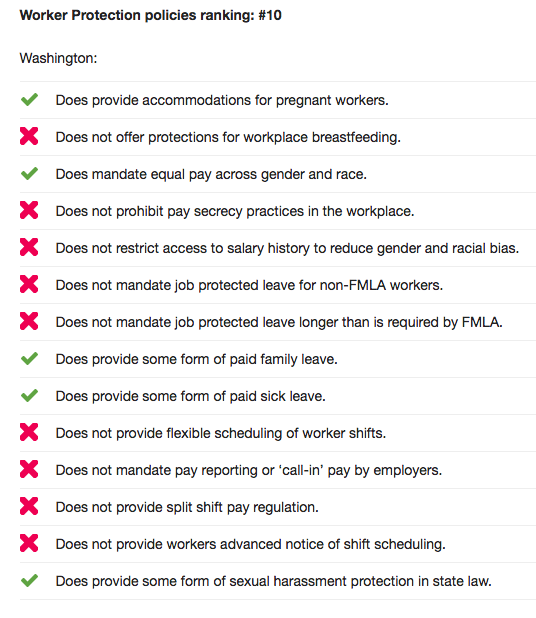 While the "other Washington" technically ranked number one, ours was the first state on the list, largely due to minimum wage and labor policies, as well as paid leave laws that have passed in recent years. Washington is ranked No. 1 when when it comes to wage policies, according to the report. Other than D.C. (at $13.25/hour), Washington state has the highest minimum wage in the country, at $11.50 an hour, covering about 43 percent of the cost of living for a family of four. Washington also allows cities to set their own minimum wage. "Does not have a so-called “Right-to-Work” law (which suppresses unions). Does provide both collective bargaining and wage negotiations to teachers. Does provide both collective bargaining and wage negotiations to police officers. Does provide both collective bargaining and wage negotiations to firefighters. Does fully legalize project labor agreements to ensure a fair wage to workers on contract." The ranking was applauded by Gov. Jay Inslee, whose staff highlighted in a post on Medium.com that the recognition was due in part to a family and medical leave insurance policy that passed in 2017, allowing workers to take up to 12 paid weeks for medical leave and 12 paid weeks to care for a child or sick family member. 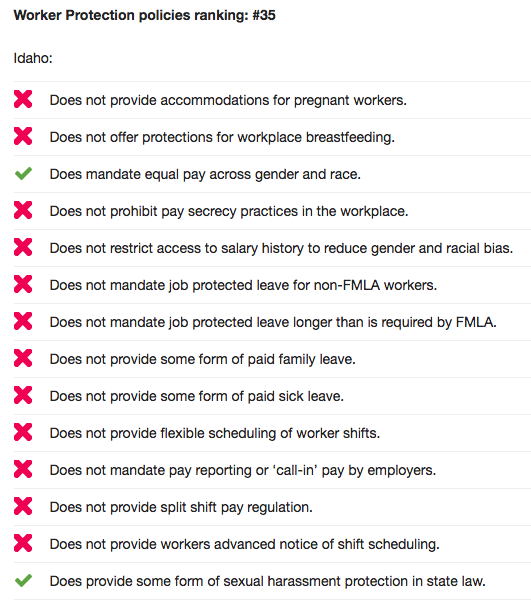 Things were less optimistic looking for neighboring Idaho, which ranked #45 on the list, due to sticking with the federal minimum wage of $7.25, which the report notes is a poverty wage, and poor rankings both in worker protections and the right to organize.